The 50th anniversary of Stonewall takes place this June and, in this anniversary year, the Stonewall Book Award committee chose two titles--a picture book and a middle grade novel--to receive the top award. Jessica Love's Julián Is a Mermaid (Candlewick Press) and Kheryn Callender's Hurricane Child (Scholastic Press) were both announced as Stonewall Award winners last week at ALA Midwinter in Seattle, Wash.
Kheryn Callender is a middle-grade and young-adult author whose first two titles--Hurricane Child (Scholastic Press) and This Is Kind of an Epic Love Story (Balzer + Bray)--were both published in 2018. Congratulations! What a fantastic honor! How are you feeling? Thank you! 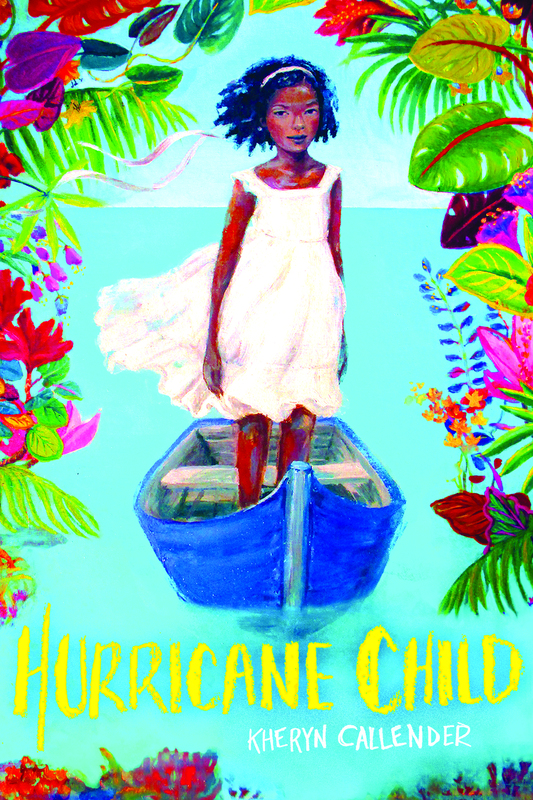 I'm feeling a lot right now: I'm grateful to ALA and the incredible librarians that chose Hurricane Child for the award; I feel affirmed that stories like mine, featuring black and queer characters, matter and are important; and I'm feeling excited and inspired to keep writing! This has been a busy year for you, with both a middle grade and a YA title out. 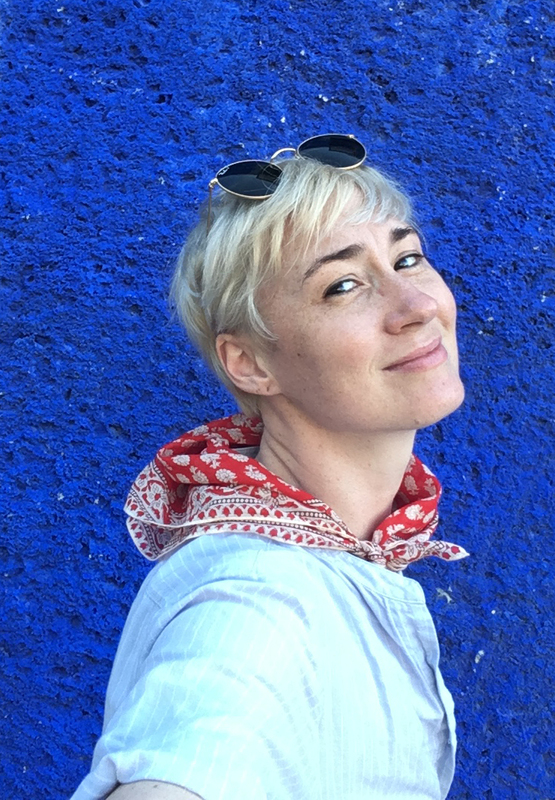 What is it like to have your first two books published in such quick succession? It was really great to have both books published in the same year, especially because Hurricane Child and This Is Kind of an Epic Love Story reach such different audiences. I've had more of an opportunity to connect with all sorts of readers, and being able to speak with people who felt moved by either of my books has been the best part of this experience. Hurricane Child has received such a fantastic response. What has your year been like, seeing your work get so much love? It's been surreal. Caroline's story is very much inspired by my own and a lot of the feelings of isolation I had growing up on St. Thomas. When I was Caroline's age, I never could've imagined being received with so much love and acceptance, and I'm forever grateful for that. How do you think the Stonewall can help you reach more young readers? A day after I received the Stonewall, Jussie Smollett, a black and gay actor of the TV show Empire, was the victim of a racist and homophobic attack. It was a sobering reminder of why I write. 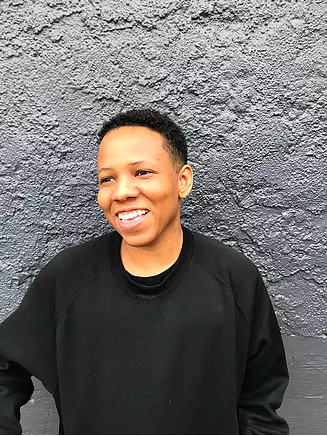 Books teach empathy, and I want black and queer readers to see themselves reflected--to feel the affirmation that they are beautiful, and powerful, and deserve to exist. I hope that the Stonewall Award will help me to amplify not only my voice, but the voices of other black and queer authors in children's and young adult literature, such as Jay Coles, Kosoko Jackson, Nic Stone, Julian Winters, Claire Kann and more. Our stories are important and need to be heard. Thanks so much for chatting with Shelf! Congratulations again! 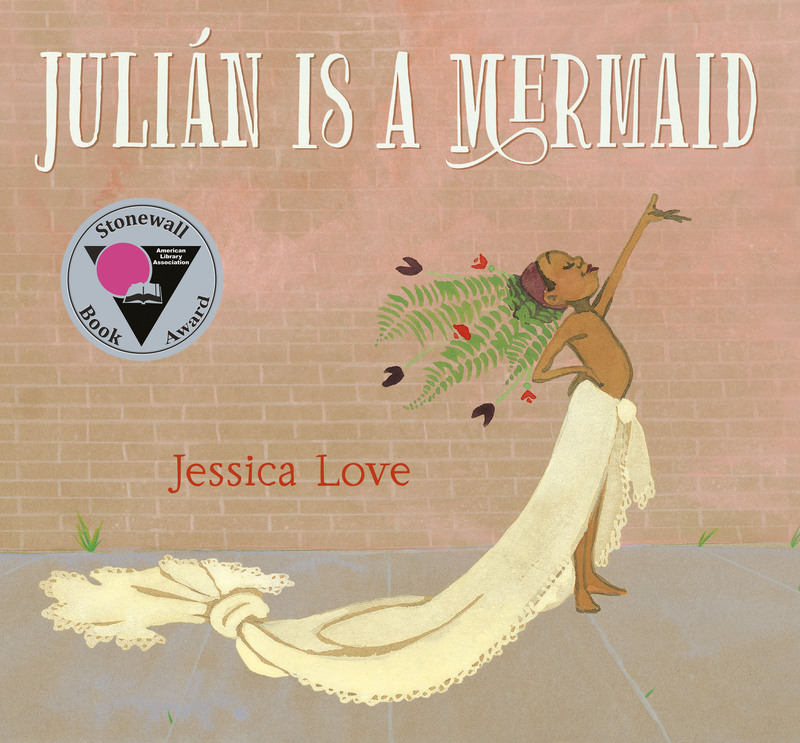 Jessica Love is an author/illustrator and theater actor; Julián Is a Mermaid (Candlewick) is her debut picture book. Muy emocionada. I don't think there is a more gratifying feeling, as an artist, to know that the work that you made was meaningful to the folks you made it for. This is not only your first book for kids but your first book in general, correct? That is correct. I've always drawn and painted, but I've been working as a theater actor since I moved to New York City 13 years ago. I started working on Julián during fallow periods between jobs. I expected I would self-publish it and give it to my friends with kids. I just wanted to get that story down, and get it right. But I didn't think I was going to be able to actually get it published. What has it been like to receive such a positive response? Bewildering. You have to remember that I've been working as a theater actor, which means I've been pickling in the brine of mostly rejection and defeat for the last decade. It is unprecedented for something to go this well and I am waiting for the other shoe to drop. Julián is full of texture, movement and emotion. What is it, do you think, that has made Julián stand out? It's always hard to guess, from the inside of it, what it is that folks are responding to. But I think it helps that the characters are specific. As a kid I always felt a little betrayed when characters looked or behaved like one another. But my heart would go faster when characters felt real. And I think "real" often just means specific. I think, weirdly, the more specific a work of art is, the more universal its potential. It's those little specific things people recognize as human and true that open the door for identification. What do you hope readers take with them from this book? Thank you so much for chatting with Shelf! Is there anything else you'd like to tell our readers? A couple of moms in rural Wisconsin hosted a community reading of I Am Jazz by Jazz Jennings to support a young transgender girl who was being bullied by a national anti-LGBTQ hate group. This action blossomed into a movement, organized by the Human Rights Campaign: the Jazz & Friends National Day of School and Community Readings on February 28. They have added to their list of books both Julián is a Mermaid and They She He Me: Free to Be! by Maya Gonzalez and Matthew SG. If you want to get involved and support the LGBTQ kids in your community, the information you need to organize a reading can be found here.